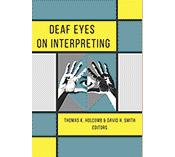 This is the eighteenth weekly installment featuring highlights from the 20 chapters in the new book, Deaf Eyes on Interpreting, edited by Thomas K. Holcomb and David H. Smith, which was released in June by Gallaudet University Press. Marika Kovacs-Houlihan draws a parallel between identifying ingredients needed to prepare a delicious meal and essential characteristics for an interpreter to become a favorite of Deaf people. She focuses on three critical ingredients: relationship, expertise, and humanity. Expanding on these three ingredients, she adds that any good relationship requires active communication and dialogue, which takes time. Expertise she sees as a combination of life experience and academic training. Humanity is a matter of being honest and vulnerable. 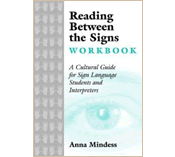 For example, the Deaf person needs to admit when they feel oppressed by the interpreter’s behavior. And the interpreter needs to acknowledge their hearing privilege. 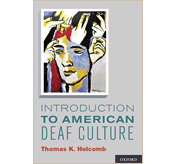 She closes with a recommendation that ASL students need early exposure to the Deaf community in order to develop understanding and respect. She sees this best realized through service learning. 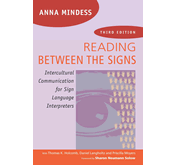 Posted in Deaf Culture Values, Deaf Eyes on Interpreting, Deaf-centered interpreting, interpreters, New book, Deaf Eyes on Interpreting, videos from book contributors and tagged Deaf Eyes on Interpreting, expertise, Favorite interpreter, humanity, Marika Kovacs-Houlihan, new model for ASL interpreters, relationship. Bookmark the permalink.